Alcatraz locksmiths have been providing a 24 hour locksmith Livingston service for years now. 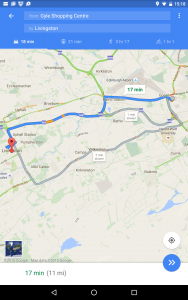 Due to our prime location we can be with you faster than we could getting to most parts of Edinburgh! 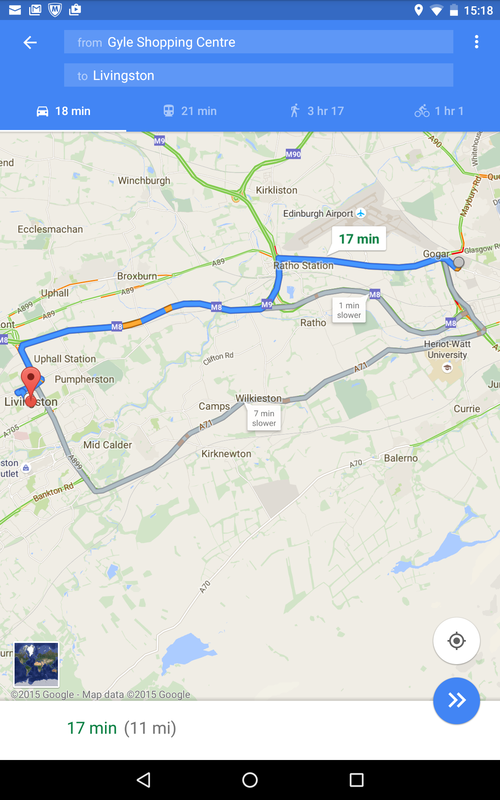 Sometimes we can be working in Livingston four or five times a week. Probably because its the biggest town in west Lothian, and probably because of word of mouth. From Almondvale and Deans to Ladywell and Craigshill we service the whole town. You will never here us moan about being there though. The people are extremely friendly – not to mention the Livingston designer outlet. That place is always handy for a bite to eat and an emergency toilet break! We are a tried and tested Livingston locksmith company. we have built up a reputation for affordability and customer satisfaction: have a look at our many 5 star reviews. These reviews have been received over a long period of time, and keep on rising. 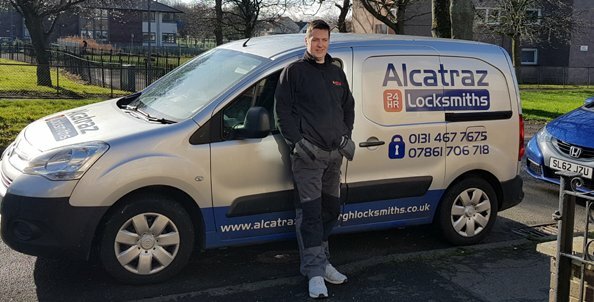 We feel the major selling point Alcatraz – Edinburgh Locksmiths have over its rivals is affordability! We don’t run from an office or have a team of admin staff. We are a small group of mobile Locksmiths who have basically no overheads to pay apart from fuel and the stock we use. Therefore we can make our prices very fair for the customer. We also offer discounts to customers getting more than one job done in the same property. The price we quote on the phone is the price you pay, we never trick our customers and we never add VAT at the end (a ploy used by some companies to get more money). An example of our prices: we were called for a quote to change a UPVC door lock. We told the lady we would supply and fit that particular lock for £70. She immediately accepted, and asked if we could go down straight away. Upon arrival she told us she was quoted £130 for the same job by another firm. We hear the type of stories described above all the time. Due to the price differences between us and other firms, 9 times out of 10 our quote wins the job. we are based beside the Gyle shopping centre in Edinburgh. This is situated next to A71 and M8 motorways. Therefore we can can provide a rapid emergency locksmith Livingston service. If your locked out we can have you back in your home in no time at all. We use the latest locksmith tools to open doors which usually means we don’t need to destroy the lock. This means you save money on buying new ones! As mentioned earlier we can be at any part of Livingston in around 15 to 20 minutes, obviously this time will be slightly longer during peak times such as rush hour. If your worried about your home security, call Alcatraz Locksmiths today. We provide free home security reports. We take a walk around your property, closely looking for security vulnerabilities on you windows and doors. We also check the outside areas which could give access to your property. For more security tips check out the West Lothian crime prevention website. Most people do not know if their locks don’t meet a certain standard their home insurance is invalid. The locks which most insurance companies want you to have is ‘British standard locks’. Although it seems like another money making scheme by lock makers they are worth every penny. For example, a home secured with an old 3 lever mortice lock could be easily wedged open with a crowbar. However, if the same household was secured with 5 lever British standard mortice lock the crowbar wielding thief could be there for hours trying to get in. This is a time which most burglar’s do not have to spare! The same goes for UPVC doors, many insurance policies now state (usually in the small print) that the insured property must be fitted with a British standard barrel. We would have to agree though, they have a valid point on this occasional. A thief who knows what they are doing can access a UPVC door property in under a minute if its fitted with a budget barrel. A British standard barrel could be the best investment you could make, and at around £45 ,they are hardly going to break the bank.